The Article was published in U. S. Naval Institute Proceedings in March 2018. Article is reprinted with author‘s consent. Drastic changes in the global and regional security situation definitely catalyzed the necessity to reinvigorate already existing naval cooperation projects, as well as to establish new cooperation formats. 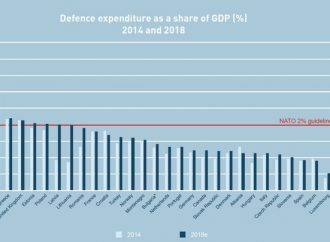 The key challenges we are facing today in the Baltic Sea region are the significant military buildup of the Russian Federation Armed Forces in the region and expansion of their A2/AD capabilities which may pose significant threat to SLOCs in the event of crisis. Consequently, Maritime Situation Awareness is at the very heart of our ability to timely respond to rapidly changing situation at sea. Currently, the Lithuanian Navy actively participates in SUCBAS (Sea Surveillance Baltic Sea) project which is a cornerstone for sea surveillance information exchange and co-operation within the Baltic Sea area and its approaches. The aim of the co-operation is to enhance Maritime Situational Awareness benefiting maritime safety, security, environmental and law enforcement activities in the region by sharing relevant maritime data, information and knowledge between the participants. At the same time, we work closely with NATO MARCOM (Allied Maritime Command) exchanging maritime surveillance information, thus contributing to the Maritime Situation Awareness. One of the long-standing regional cooperation projects is BALTRON (Baltic Squadron) – the standing mine countermeasures unit consisting of assets and personnel of Latvian and Lithuanian navies. 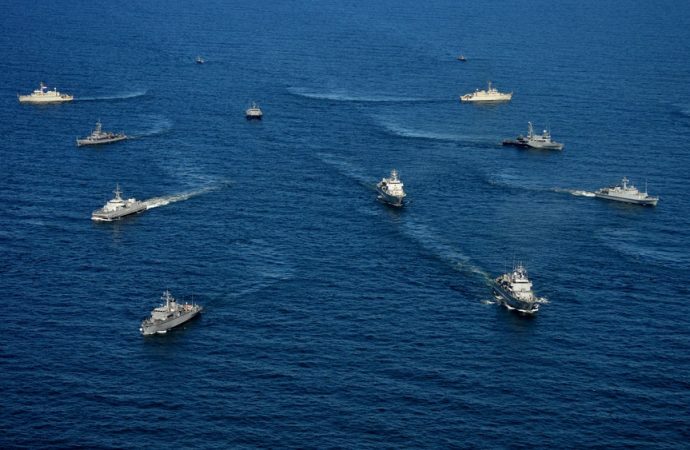 It provides both navies with a valuable opportunity to further enhance the level of interoperability and counter the threat posed by the historic ordnance left in the course of the two world wars. It also serves as a training tool preparing MCM units for their deployments with SNMCMG1 (Standing NATO Mine Countermeasures Group 1). Baltic Navies Commanders Conference is a good example of a new regional cooperation initiative launched by the German Navy in 2015. 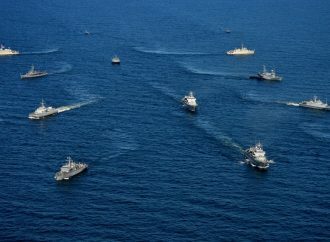 The member navies participate in the activities of several working groups covering various spheres of cooperation, such as training and exercises, sea safety and information sharing, doctrine development and others. It is also worth to mention one of successful examples of cooperation between the German and Lithuanian navies developed in the framework of this initiative – attachment of the Lithuanian Navy boarding teams to the FGS Rhein participating in EUNAVFOR MED Operation Sophia, the EU naval operation disrupting the business model of migrant smugglers and human traffickers in the Southern Central Mediterranean. The deployment resulted in arresting a large cache of smuggled weapons and rescuing lives of migrants. Also, since 2016 the Lithuanian Navy plays an active role contributing the autonomous vessel protection detachments to EU NAVFOR Atalanta protecting Somalia-bound vessels belonging to the WFP. Looking from today’s perspective, we can clearly see that despite its regional focus, the Lithuanian Navy is striving to actively engage in support of cooperation initiatives not only in the Baltic Sea region but also well beyond it, actively contributing to the solution of problems affecting the global maritime domain.